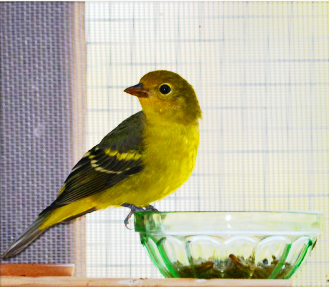 Our mission is to provide compassionate care, rehabilitation and release to Washington’s sick, injured and orphaned songbirds, while educating the public about the many perils our feathered friends face. We recognize that it is a privilege to care for wildlife and our goal will always be to release healthy birds back into appropriate habitats so that they may continue to live a free and wild life. See details for ​Volunteer Orientations in ​March 2019. ​Also, check out our first biannual newsletter! Found injured and/or orphaned wildlife? Click the appropriate button below for your next steps. Featherhaven is a 501(c)(3) charity, has no paid employees, and receives 100% of its funding through grants, fundraising efforts, and (most importantly) donations from caring individuals like you.